A relaxing weekend on the lake quickly turns into a horrific nightmare when the water zombie rises from the depths! 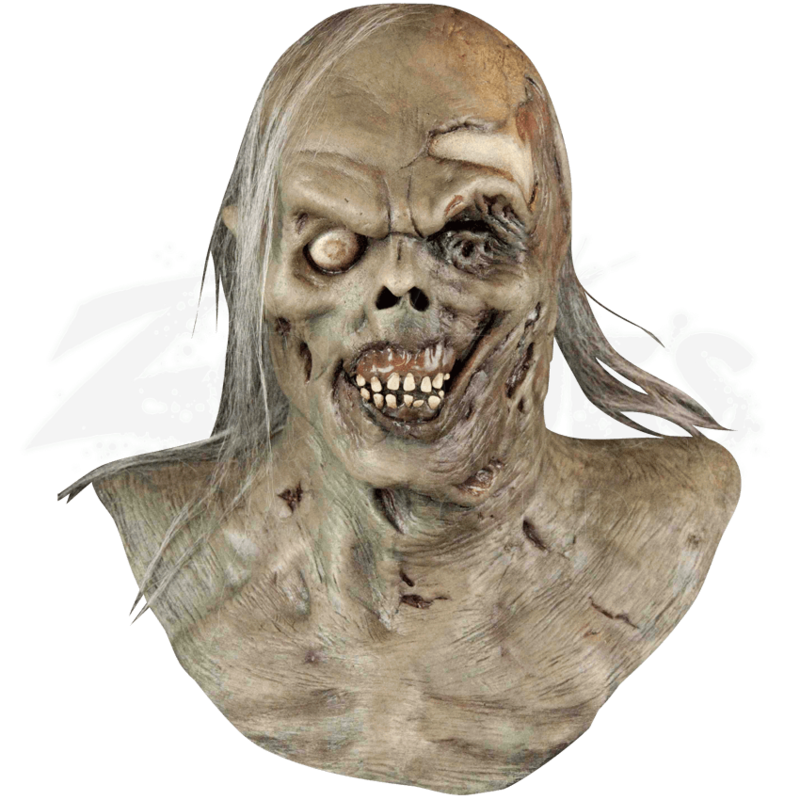 Transform into the vengeful monster with this latex Water Zombie Mask that covers the entire head when it is put on. This highly detailed piece features small patches of rotted skin revealing muscle tissue and bone. The left eye and mouth are almost completely rotted away leaving only decaying teeth exposed for all to see. On top of the mask is a portion of exposed skull and wisps of hair help to frame the carnage. The chest flap makes this versatile mask easy to blend with a variety of zombie costumes. Wearing this mask will ensure that people will shy away in fear next time you make yourself into a zombie.